If you want a drink that tastes like an entire kitchen, Japanese beverage marketer Kirin might suggest its Salt and Fruit soda. A new spot from the brand features a tiny, adorable kitchen (a 1/48 scale model, to be precise) inside a plastic bottle. 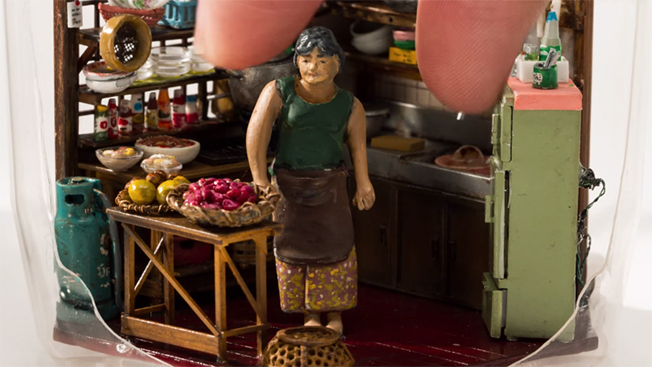 The miniature setup includes a sink, well-stocked refrigerator, cooking utensils and a woman. The craftsmanship is a pretty remarkable feat and comes complete with a soundtrack clearly designed to drive home the point that it is, in fact, very cute. The beverage is part of Kirin's "Sekai no Kitchen Kara" series, which translates to "From the Kitchens of the World," and features flavors inspired by different locales. This one is apparently inspired by mothers in Thailand, though hopefully the flavors of moms and their cookware are relatively subtle.